Our third Blog of the Week is another one close to our hearts, not only because she one of our very own guest bloggers, but also because she’s just such a lovely lady. Louise Emma Clarke is the founding editor of The Beauty Pages, a magazine-style blog for all of those who buy magazines only to skip right through to the beauty pages. The genius blog presents all of the best of the month’s insider info, features, and the latest and greatest news from the world of beauty. The site is edited by the marvellous Louise who, in noticing a gap in the market for high end online beauty journalism, set about creating the ultimate haven of luxury beauty knowledge. The result is something a little bit brilliant: take a pinch of Louise’s background as a journalist, mix it with a luxe feel, and sprinkle with some extra special input from some industry greats (Will King, Leo Bancroft, Daniel Sandler to name a few) and you’ve got a fantastically high end, finely crafted blog! The fabulous Archive section is as satisfying to read as our own hoard of old beauty magazines, while the Tried & Tested section pits products against each other to test out their effectiveness, giving frank and honest reviews. We’re particularly big fans of the Feature section of the blog, particularly when they focus upon the weird and wonderful ingredients used in products. This month’s confectionary twist is genius – after all, who can say no to marshmallow scented shampoo? 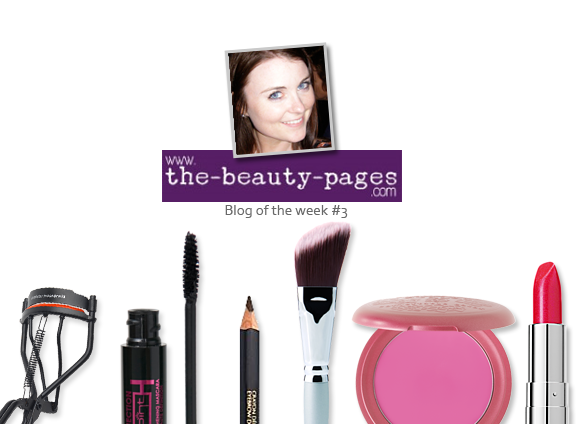 Visit Louise at The Beauty Pages to share the love.. This entry was posted on Friday, January 21st, 2011 at 9:35 am and is filed under Blog of the Week. You can follow any responses to this entry through the RSS 2.0 feed. You can skip to the end and leave a response. Pinging is currently not allowed.